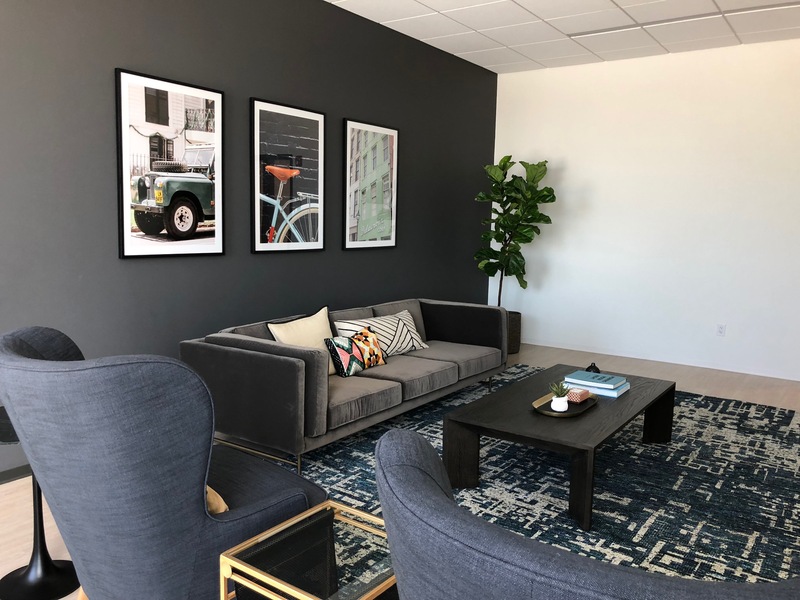 GARY, IN – Gary Jet Center (GJC) is proud to announce the opening of their new Corporate Flight Center as part of GJC’s Fixed Base Operation (FBO) at the Gary/Chicago International Airport (KGYY). The 8,300 sq. 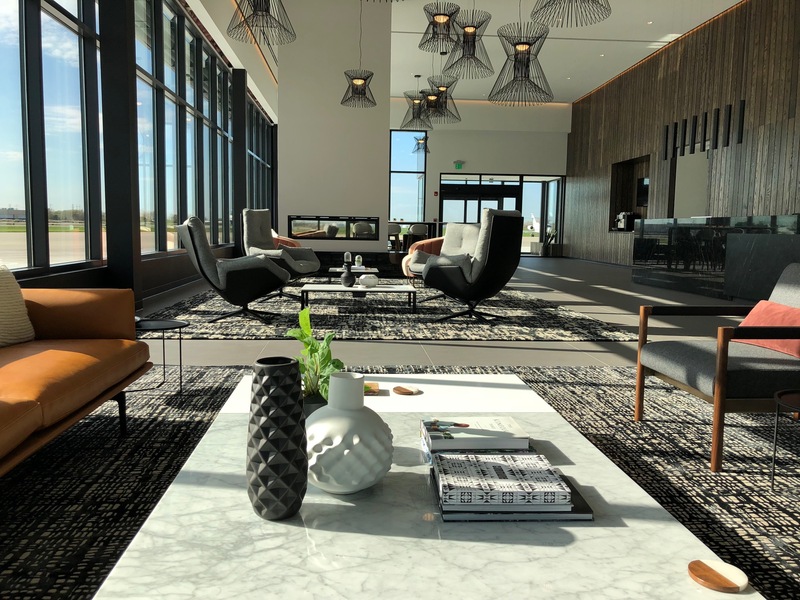 ft. building features a luxurious, glass-walled lobby with seating for over 45, an espresso bar and unobstructed views of the recently expanded 9,000 ft runway. 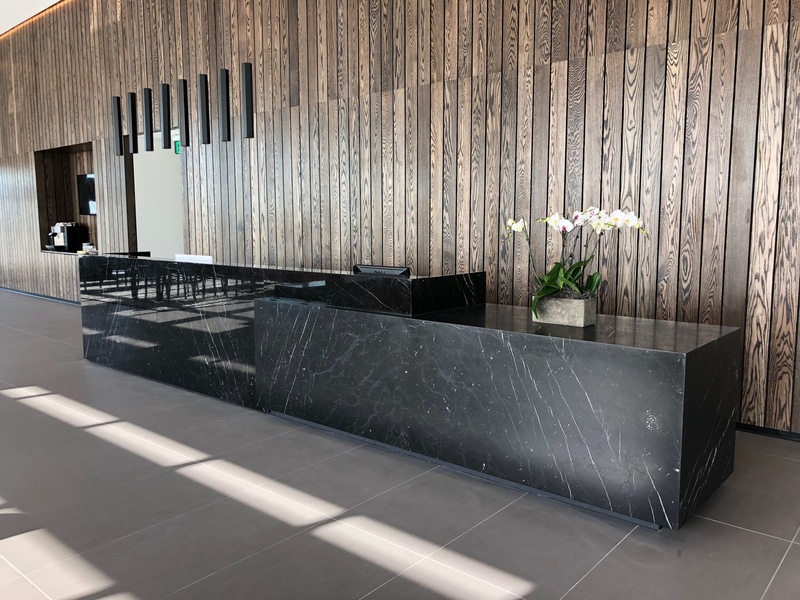 The Flight Center also includes 3 crew lounges, a crew kitchen and laundry facilities, as well as private phone and sleep rooms and a conference room available to passengers and crews. The new Flight Center is located on their west campus which includes two 40,000 square foot hangars and over 5 acres of ramp to accommodate even the largest aircraft. Those partners involved in the conceptualization, design, and construction of the FBO include renowned international architecture firm, Ghafari Associates, award-winning Chicago design firm, Partners by Design, and environmentally-committed local Development and Project Management company, LEE Companies. “LEE Companies is honored to be a part of this 12 year campus development and largest private investment at the Gary Chicago International Airport culminating in this incredible state-or-the-art Corporate Flight Center, the jewel in the crown of the Gary Jet Center West Campus establishing the Gary Jet Center as the preeminent FBO in the Midwest” reports Patrick Lee, President and Owner of LEE Companies. The Gary Jet Center hosted a grand opening celebration on Wednesday, October 25, 2017, attended by over 200 officials, customers, employees, partners and vendors, and addressed by guest Rollie Helmling, senior vice president of global industry & trade development at the Indiana Economic Development Corp.
Gary Jet Center, www.garyjetcenter.com, is an aviation services company based at the Gary/Chicago International Airport, located 25 minutes from downtown Chicago. A family-owned and operated company, the Gary Jet Center provides fixed base operations to a variety of corporate and general aircraft, aircraft management services to over a dozen aircraft owners, Part 135 Charter operations, and two Part 145 Maintenance certificates. With over 110,000 sq. ft. of hangar space and a consistent focus on exceptional customer service, Gary Jet Center is poised to accommodate and service the corporate jet market in the Chicagoland area. LEE Companies, http://www.leecompanies.net/, is a Gary-based Project and Construction Management firm that has been minimizing costs, maximizing quality, and optimizing schedules for its clients, from initial planning through final close-out, for over 40 years. LEE Companies is a member of the U.S. Green Building Council and its Project Managers are LEED® Accredited Professionals. Founded in 1993, Partners by Design is an architectural and design firm located in Chicago, Illinois that provides interior design, planning, and architectural services. In addition to design and contract services, Partners specializes in environmental branding, building architecture and national and international account work through our ONE Global Design membership. Partners is one of the country’s largest independent design firms currently ranked as the 91st largest firm in the U.S., based on firm size and billings. Ghafari is a full-service global engineering, architecture, process design, consulting, and construction services firm. With 14 offices across the globe, the firm supports clients in sectors such as aviation, corporate / commercial, education, government and institutional, healthcare and industrial / manufacturing. Ranked as one of the top 50 firms in the airport sector by Engineering News-Record for more than five consecutive years and a two-time National Best & Brightest Company to Work For, Ghafari has proven to be an industry leader.